At Bisou, we love backyard bashes! Backyard weddings are super cozy and won’t break your budget. You can also make your nuptials any theme you desire, without limits of a venue. Consider a rustic, bohemian, or maybe vintage theme. Take all the best from your surroundings; mother nature, your garden, your home and backyard. In case the weather is bad, you can always come inside or order a beautiful wedding tent. Pick seasonal flavors and food, add some wooden slabs as a base to family style serving platters, and add chic rustic touches here and there to create a homey ambience. 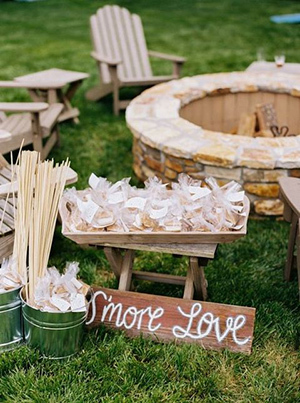 Check out this post for more inspiration to have a perfect backyard wedding!